In the lead up to the release of Gord Downie’s new double album, Introduce Yerself, Arts & Crafts has shared a video that documents the creation of the album’s closing song, “The North,” courtesy of directors Jennifer Baichwal and Nicolas de Pencier. The video is an intimate look at Downie in studio during the album’s recording with producer Kevin Drew, Dave Hamelin, and engineer Nyles Spencer at The Bathouse studio in Bath, Ontario. The twenty-three songs of Introduce Yerself were recorded swiftly over two four-day sessions in January 2016 and February 2017, with the finished album often reflecting first takes. The album continues the collaborative relationship that last year brought the music of Downie’s historic Secret Path to life, with Drew producing and co-writing a number of songs. Here is a piece detailing the making of the album in the New York Times. Introduce Yerself will be released on CD and digital tomorrow, October 27. The vinyl will be in stores December 15 in a double gatefold jacket with two pull-out posters. It is available for purchase via Arts & Crafts and Gord Downie, along with Downie’s solo records Coke Machine Glow (2001) and Battle Of The Nudes (2003). Gord Downie announces Introduce Yerself, a double-album of twenty-three new songs. The music was recorded swiftly over two four-day sessions in January 2016 and February 2017, with the finished album often reflecting first takes. 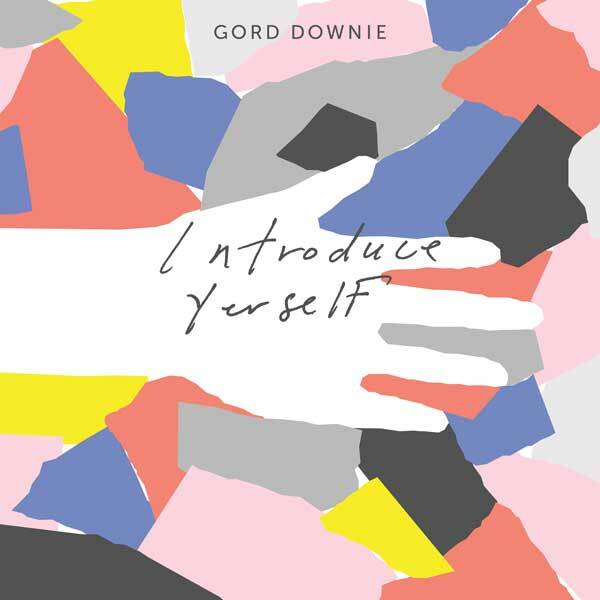 Introduce Yerself continues the collaborative relationship that last year brought the music of Downie’s historic Secret Path to life, with Kevin Drew producing the album and co-writing a number of the new songs. Video directors Jennifer Baichwal and Nicolas de Pencier have put together a short video clip below. Introduce Yerself will be available for preorder as of Friday, September 29 in Double Vinyl, CD, and Download formats via Arts & Crafts and Gord Downie. The album will be released on CD and digital on October 27. The vinyl will be in stores December 1 in a double gatefold jacket with two pull-out posters. To read Gord Downie’s full statement on Secret Path from September 9, 2016, go HERE. Secret Path acknowledges a dark part of Canada’s history – the long-suppressed mistreatment of Indigenous children and families by the residential school system – with the hope of starting our country on a road to reconciliation. Every year as Chanie Wenjack is remembered, the hope for Secret Path is that it educates all Canadians young and old on this omitted part of the country's history, urging us all to play an active role in the preservation of Indigenous lives and culture in Canada. Secret Path is now available in Deluxe (vinyl & book), and Book (with album download) editions, as well as on Download and Streaming services, and can be pre-ordered on CD and standard LP formats (out December 2). The premium LP features the stand-alone vinyl with ten special lyric posters featuring Gord’s handwritten lyrics and bonus illustrations by graphic novelist Jeff Lemire. PURCHASE SECRET PATH DELUXE & BOOK EDITIONS FROM GORDDOWNIE.COM AND VIA LOCAL AND ONLINE RETAILERS INCLUDING INDIGO, AMAZON, AND HMV. Proceeds from the sale of Secret Path will be donated to the Gord Downie Secret Path Fund for Truth and Reconciliation via The National Centre for Truth and Reconciliation at The University of Manitoba. The NCTR is dedicated to preserving the history of residential schools in Canada, making this history known, and moving our country forward on the path of reconciliation. These funds are dedicated to finding missing Indigenous children. Donations to the NCTR are now being accepted at give.umanitoba.ca/nctr. Mike and Gord Downie and the family of Chanie Wenjack are also raising money for the newly created Gord Downie & Chanie Wenjack Fund (DWF). The Fund operates out of the Toronto Foundation and focuses on cross-cultural education to support healing and recovery. It is guided by and will also directly support the NCTR. The DWF embodies Gord Downie’s commitment to improving the lives of First Peoples. The Fund will foster new relationships between Indigenous and non-Indigenous peoples, creating a pathway to reconciliation. Donations to the DWF are now being accepted at downiewenjack.ca.